Despite living four-plus hours away, I consider Kings Dominion to be one of my “home away from home” parks. I’ve visited enough to know my way around without a map, not to mention the order to ride their roller coasters in order to minimize the overall time waiting in line. With 12 roller coasters, Kings Dominion has among the most of any park in the Mid-Atlantic region. 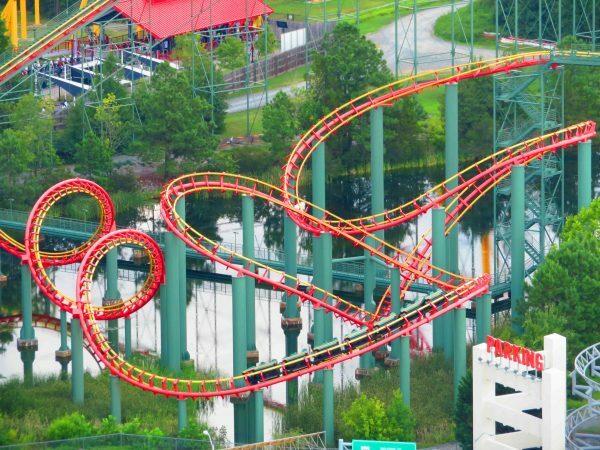 Believe it or not, these 12 roller coasters of Kings Dominion provide not only a wide range of experiences, but also a natural progression of sorts that will help those who may be scared of roller coasters, like Intimidator 305, ease in to bigger and bigger roller coasters until they can eventually conquer Virginia’s only “Giga” Coaster. Kings Dominion is an ideal park for both “thrill junkies” and “thrill seekers in training,” as well as everyone in between. 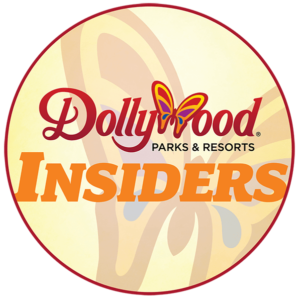 This list will be broken into three categories: Thrill Seekers In Training, Thrill Seekers, and Thrill Junkies. 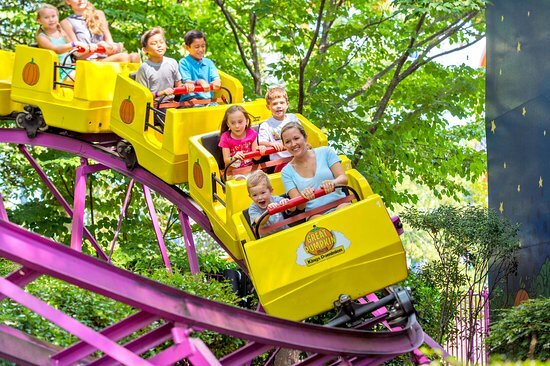 Originally opened in 1997 as Taxi Jam in Kings Dominion’s “Kidsville,” The Great Pumpkin Coaster is the perfect introductory coaster for “Thrill Seekers in Training.” With a maximum height of 8′ off the ground and just about 200′ of track, younger “thrill seekers in training” won’t be too frightened as they join Linus on the quest to find the Great Pumpkin. 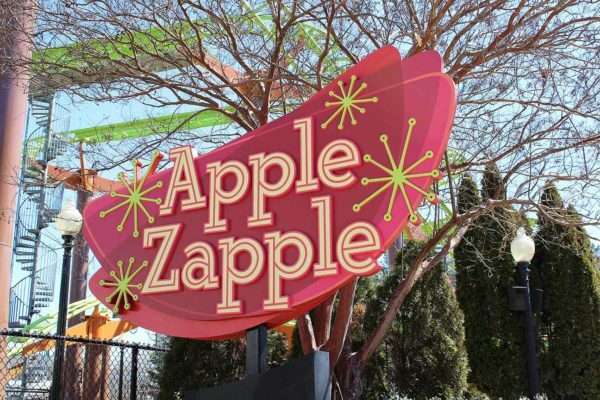 The height requirement for this coaster is 36″, and guests under 40″ must be supervised by a companion. (And for enthusiasts looking for the “credit,” Kings Dominion has a maximum height of 54″ listed!). Great Pumpkin Coaster is a perfect stepping stone for the next coaster on our list. 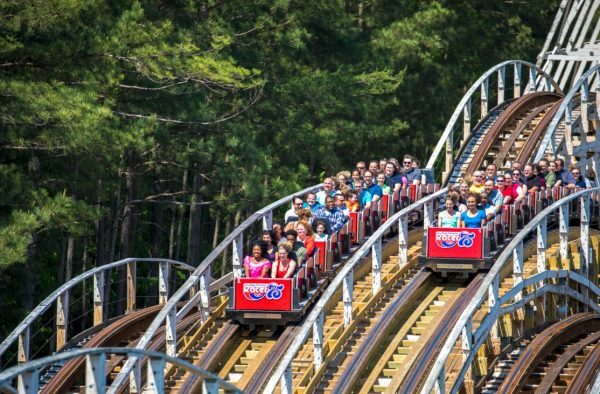 Coming up next in our “natural progression” is actually the oldest coaster at Kings Dominion, Woodstock Express. Woodstock Express was previously themed after cartoons Scooby-Doo and The Fairly Oddparents before settling on its current name and theme. 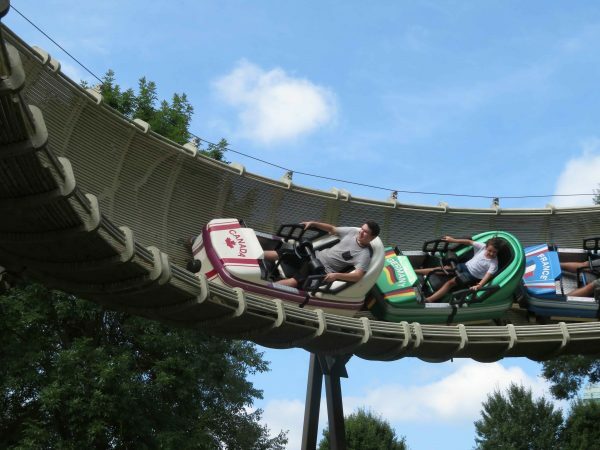 Riders will hit top speeds of 35 mph during their ride on this classic family Philadelphia Toboggan Coasters, complete with several great “pops” of airtime over the 35′ hills. If you’re 40″ tall you’re able to ride, but you have to be 46″ to ride alone. But will the medium speed drops prepare you for the tight curves and open air trains of the #3 coaster on our list? 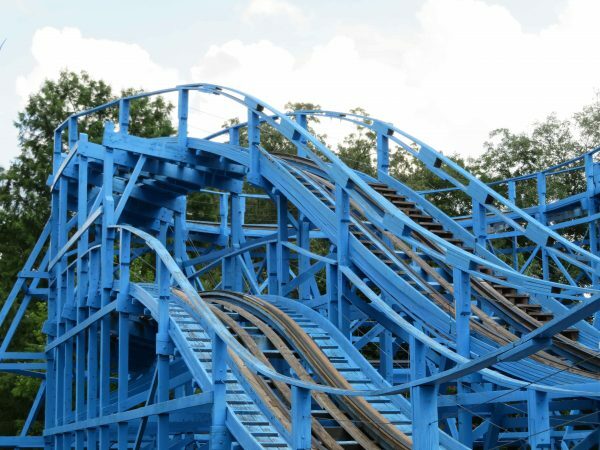 The first of two”launch” coasters at Kings Dominion on this list, Backlot Stunt Coaster used to be themed after the Paramount film “The Italian Job” when it opened at Kings Dominon in 2006. With trains that evoke Mini Coopers, on-ride theming/show scenes and multiple launches, those looking for a great thrill but are “put off” by the milder thrills listed above, will have a great time on Backlot Stunt Coaster. There are several great moments on this ride, including a near 90-degree over-banked turn, and a portion of the coaster where your train “comes through” the ride’s sign. 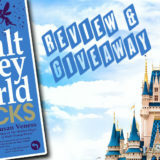 It’s a fantastic attraction for family thrills without being too intense! 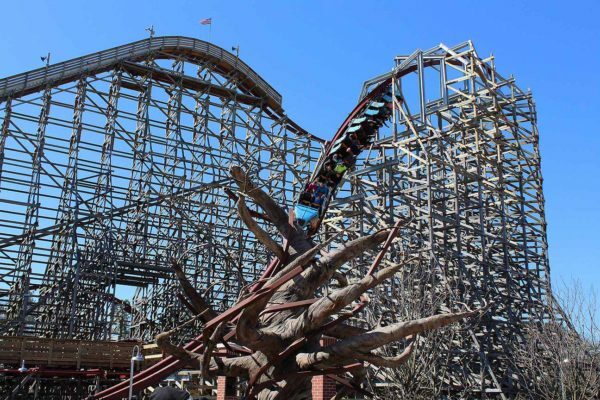 Grizzly, which was built “in-house” and designed by Curtis D. Summers, is the last “true” wooden coaster on this list. 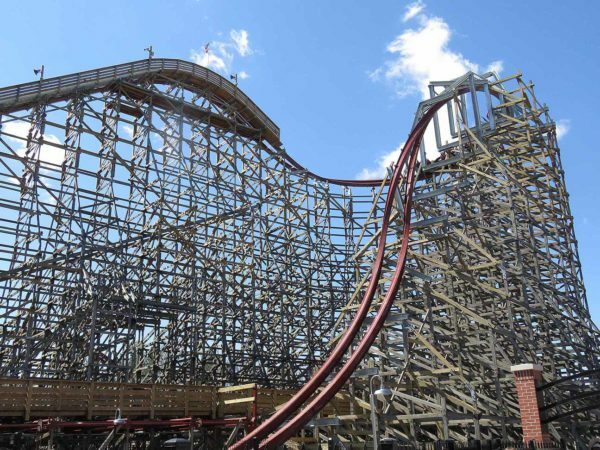 It has similar statistics to Racer 75, standing just 5′ taller and having 200′ less feet of track than its nearby wooden coaster counterparts, but the added scenery of the surrounded wooded area and additional banked curves and turns adds another level of “thrill” to the classic wooden coaster, which is celebrating its 37th year of operation in 2019. The trick for Grizzly is finding it, as it’s tucked behind the Dinosaurs Alive gift shop! Another “coaster classic,” and the first coaster on this list with inversions, Anaconda has been thrilling guests at Kings Dominion since 1991. This Arrow Looper starts innocently enough at first, as riders ascend the 128′ tall lift hill before making a right hand pre-drop turn. That’s where things get wild. The trains reach speeds of 50mph as they descend 144′ into an underwater tunnel. Following the tunnel, you will be treated almost immediately two two inversions, before winding your way into the double corkscrew finale. We promise it’s not as scary as it sounds, but if you can conquer Anaconda, you’ll definitely be ready for the next level of coasters, those created with “Thrill Junkies” in mind. The lone “coaster transplant” on this list, Dominator was originally opened at the now-defunct Geauga Lake in 2000, before debuting at Kings Dominion in 2008. 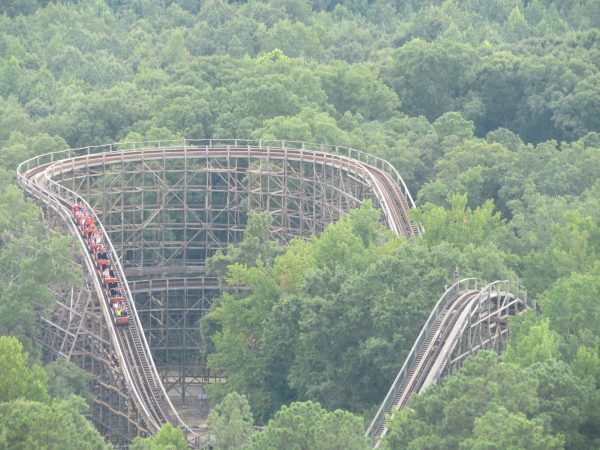 After 11 years at Kings Dominion, it still holds the record as longest “Floorless” coaster in existence at 4,210′, and has one of the tallest inversions on a floorless coaster, with its 135′ tall vertical loop. 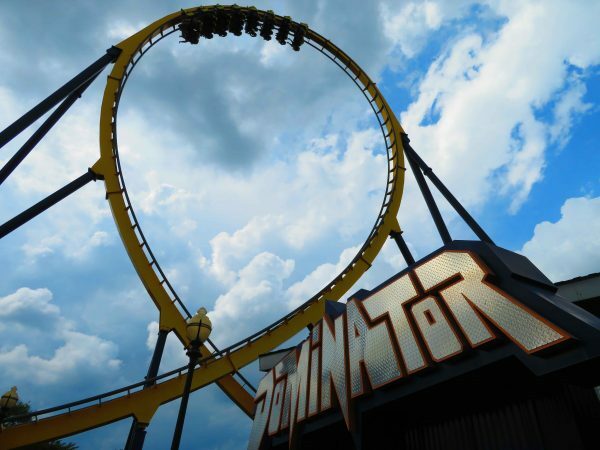 Reaching top speeds of 65mph, Dominator can be broken into two parts: its 148′ tall first drop, loop, and Cobra Roll, making up the first half, with a more “terrain-based” section featuring interlocking corkscrews on the second half of the ride. All in all, it’s an incredibly smooth coaster, and a perfect one to kick off the “thrill junkies” category. Tucked in a corner of the park inside the Bureau of Paranormal Activity is Flight of Fear, an indoor launch coaster from Premier Rides. Riders are secured by lap bars only, and are launched into the darkness, going from 0-54mph in just four seconds. Anticipation builds prior to the launch, but once you’re in motion, it’s hard to tell which way is up as you scream through 4 inversions including a Cobra Roll, Sidewinder, and Corkscrew in almost total darkness. While it doesn’t have as many inversions as Dominator, the combination of launch, speed and darkness ranks it above Dominator on our list. 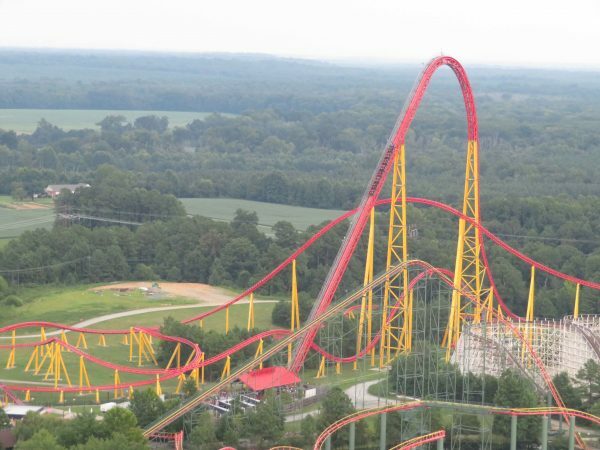 When approaching the final coaster on our list, Intimidator 305, Virginia’s lone giga coaster, it’s very easy to be intimidated. The 305′ tall cable lift can be seen from across the park, and you feel every foot of that 305′ drop on the way down. Fortunately, you don’t have long to worry about the impending drop, because after you hear the familiar GENTLEMEN! START! YOUR! ENGINES! before the coaster’s cable lift hill pulls you up to the top very quickly. 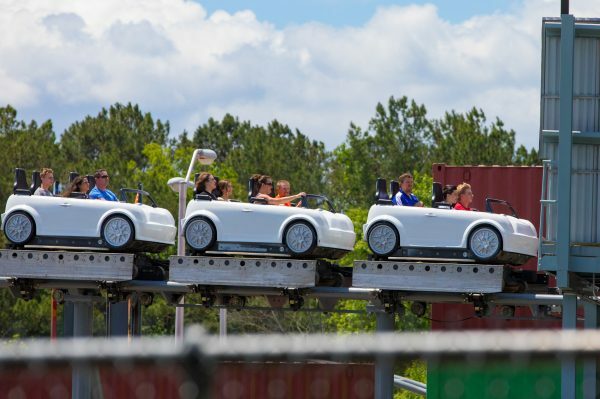 Though you don’t quite reach NASCAR-levels of speed like the coaster’s namesake, Dale Earnhardt, the wind hitting your face as you zoom around the track at speeds of 90mph is an adrenaline rush enough. 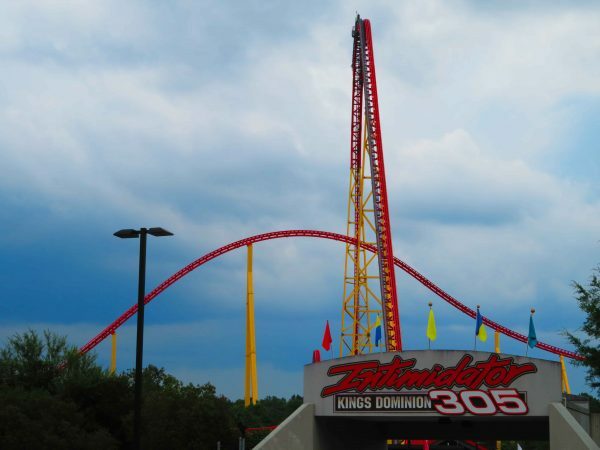 Once you’ve made it through the 3:00 ride cycle of Intimidator 305, you’ll be able to conquer any attraction at Kings Dominion! So whether you’re a thrill seeker in training and want to stick to smaller coasters like Woodstock Express or Avalanche, or you’re ready to take on Intimidator 305 and Twisted Timbers, Kings Dominion has the coaster for you! 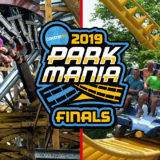 For more information about Kings Dominion’s roller coasters, be sure to visit the park’s website, and follow the park on Facebook and Twitter!